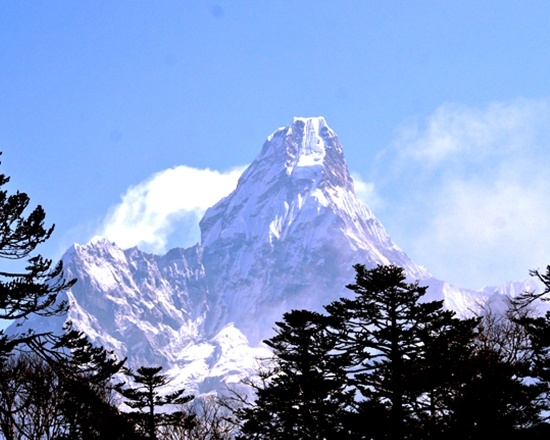 Everest Base Camp Gokyo Trek; Cho La pass is the Outstanding Himalayas Pass and Mesmerizing panorama view; Connected Everest Base Camp and Gokyo Valley Trek and more Sherpa culture, traditional villages lifestyle and crafted in harmony of Khumbu Everest national park. 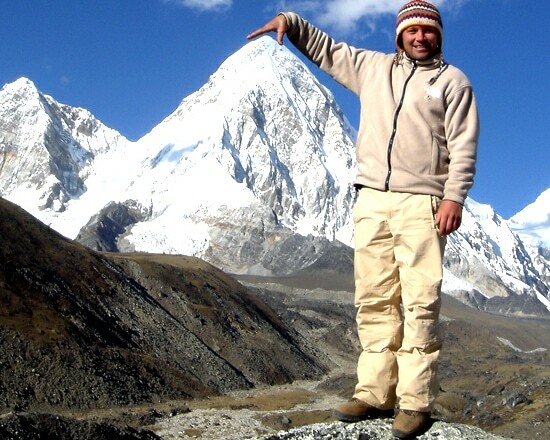 The Everest Base camp Gokyo Trek are Connected by Cho La Pass Trek, one of the Famous long lengths Everest high passes Trek in the Khumbu region which is 105 kilometers 20 days round trek. during the Everest Base Camp Gokyo Trek (Cho La pass), across the Tengboche Monastery, which has most significant Guru Rimboche monastery structure is Tibetan style Gompa, the Tengboche monastery open 3 pm for the Prayer puja, and every trekker visit monastery to see the Prayer puja, but not allowed to film inside the monastery at Prayer time. The trail to Everest Base camp Gokyo Trek-Cho La pass is gradually up to a harder hiking trail, Everest Base Camp 5,450 meters above the sea levels, Next morning hike Kala Patthar 5,545 meters high end of your goal. 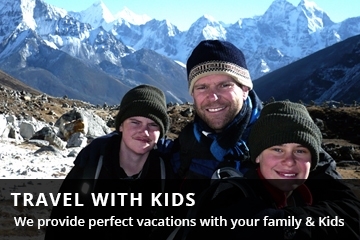 Take pictures, filmy around stunning Himalayan view of Ama Dablam, Pumori, Lhotse, Cho Oyu, Makalu and Everest from Kala Patthar, back Gorakshep and continue to your journey. The Gokyo Valley is also a lovely hamlet where you be there after the Everest base camp Cho la pass, after a night spending in Zhong la, next morning, start early and climb to the Cho La top which rises 5,420 m. It takes three hours slowly to the Cho La Top, take a group photo and continue down to the Gokyo Lakes. Gokyo Lake is beautiful and clean blue color water lakes, charming peak call Gokyo Ri best hike for sunrise and sunset with stunning more Himalayan view. After Gokyo lake, way back to Lukla via Namche and take a flight back to Kathmandu. Day 03: Flight to Lukla early in the morning (2827 meters. 35 minutes flight) trek to Phakding (2/3 hours walking) Stay overnight at the lodge. Day 04: Trek to Namche Bazaar (3443 meters. 5/6 hours walking)overnight at the lodge. 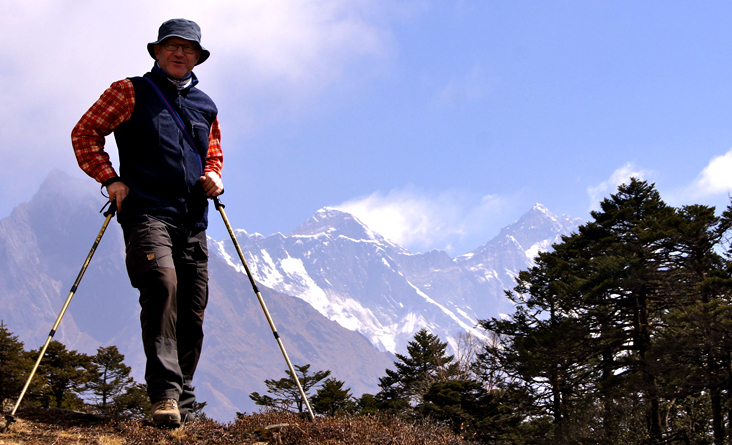 Day 06: Trek to Tengboche (3820 meters 5/6 hours walking)stay overnight at lodge. Day 07: Trek to Pheriche (4230 meters. 4/5 hours walking) Stayover night at the lodge. Day 08: Rest day in Pheriche for acclimatization. Day 09: Trek to Lobuche (4900 meters. 4/5 hours walking) stay overnight at lodge. 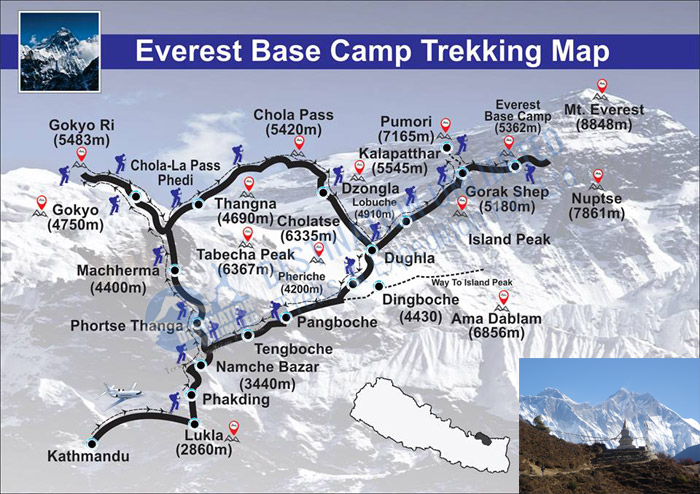 Day 10: Visit Everest Base Camp (5450 meters. 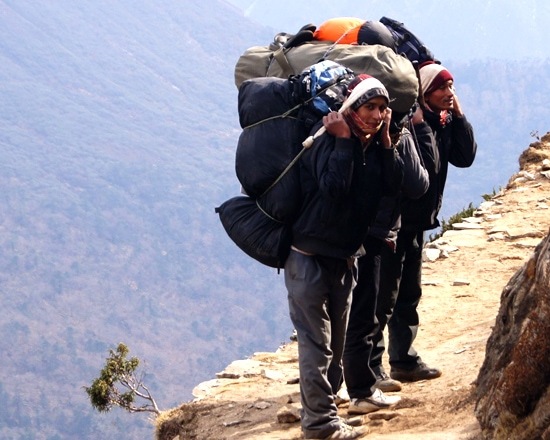 3 hours walking) early in the morning and trek back to Gorakshep, stay overnight at lodge. Day 11: Visit Kalapattar (5545 meters. 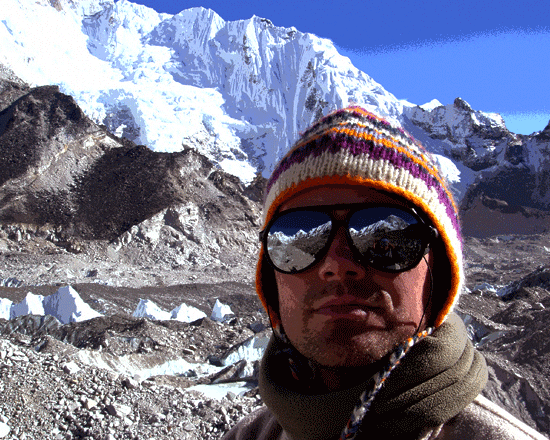 Early in the morning for the best Everest view) and trek back to Zhong la (5 hours walking Stay Overnight at lodge. 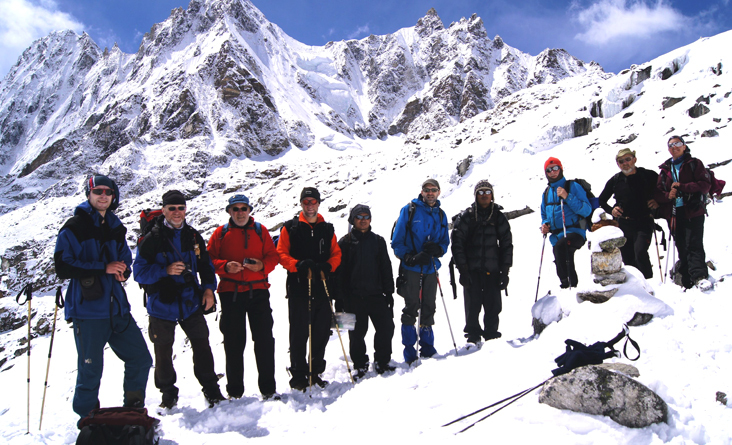 Day 12: Trek to Gokyo via Chola Pass, (5420 meters 6 hours walking) stay overnight at the lodge. Day 13: Early morning visit to Gokyo peak( 5450 meters) and trek back to Dole (5/6 hours walking) stay overnight at lodge. 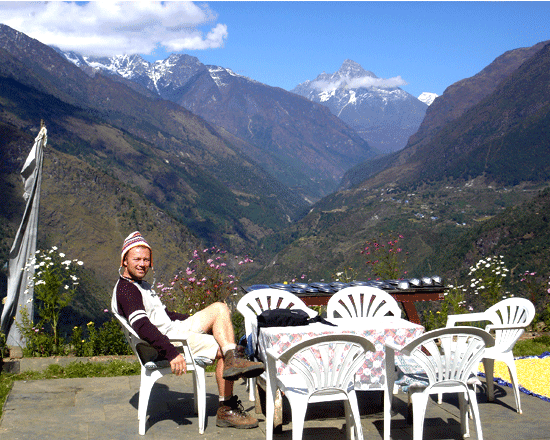 Day 14: Trek back to Khumjung (4/5 hours walking) stay overnight at the lodge. Day 15: Trek back to Phakding(4/5 hours walking) stay overnight at lodge. Day 16: Trek back to Lukla (3/4 hours walking) stay overnight at lodge. Day 18: Departure Day in your home country. We will provide you with transport to international Tribhuvan airports. 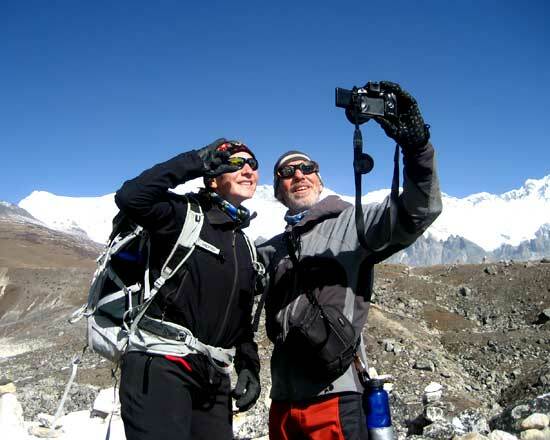 Heidi and I think back to our trek to Everest base camp and wish to return in the future. Your service was perfect, and we couldn’t have been happier. 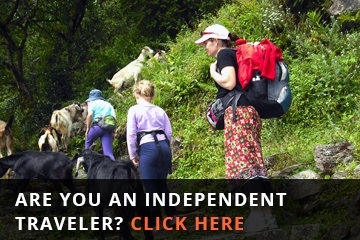 We want to write a testimonial for you, your company, and for Ambar. Should we write the testimonial in an email to you, or should we write it somewhere on your website? What is your site? I lost the information on my travels. Lastly, I have some pictures that I would like printed and sent to Ambar. I would be happy to pay for the cost of writing the images, and any price associated with having them shipped to Ambar. Could you help us by having them printed locally and sent? Thank you again for the fantastic experience. 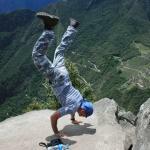 My name is Vasili Mladinov Just finished 18 days Everest base camp trekking with my best friends. It was fantastic, beautiful weather and a great crew. Thank you, Himal for great organization of our tour.